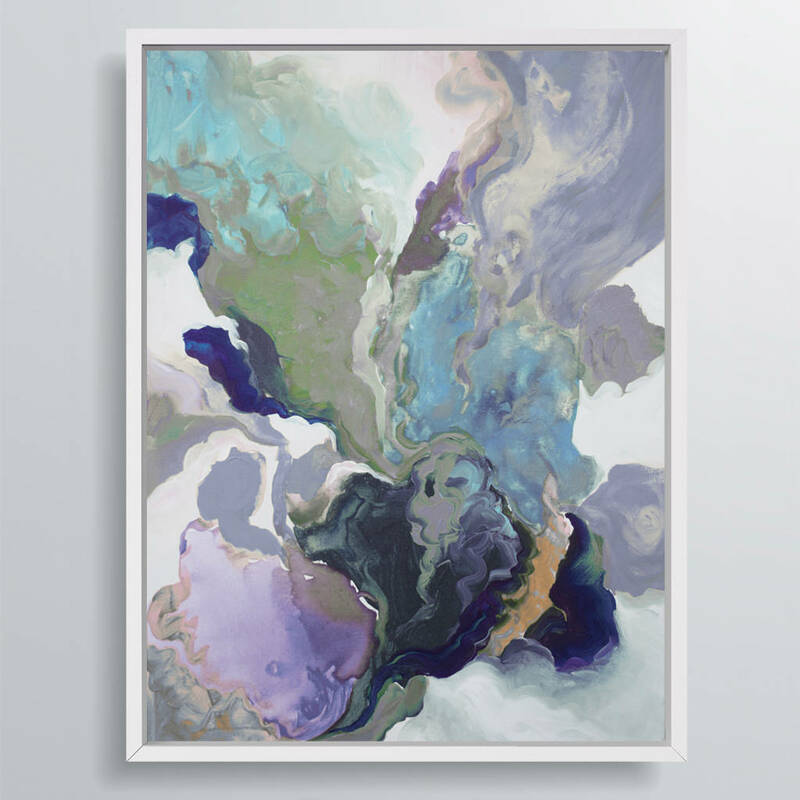 Say hello to the gorgeous 'Ebony Swirl', a stunning framed canvas print created exclusively by AttikoArt. 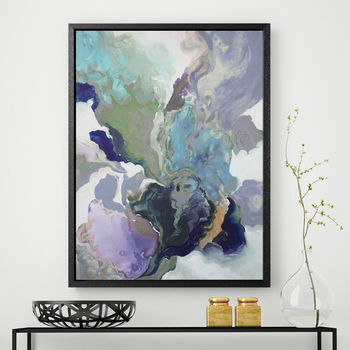 AttikoArt is the brainchild of mother and daughter design team, Michelle and Melissa Belak - award-winning fine artist and interior / graphic designer. Like every AttikoArt piece, 'Ebony Swirl' has been lovingly created by them and is available in a variety of colour combinations to suit your own personal decor scheme. 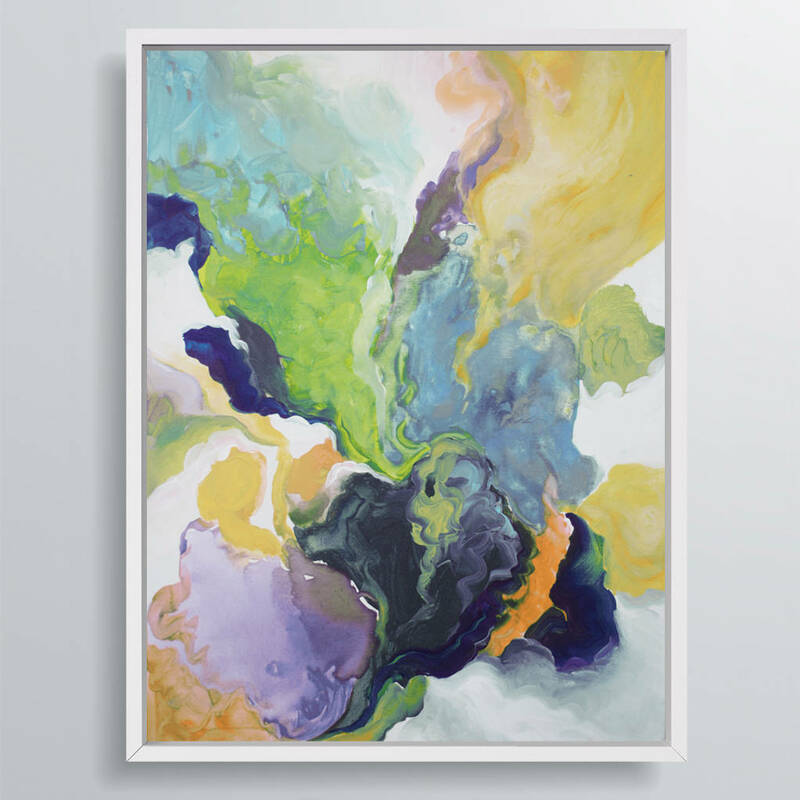 Choose between three different colourways: blue & purple, yellow & green or pink & green, and three canvas sizes: small, medium or large. 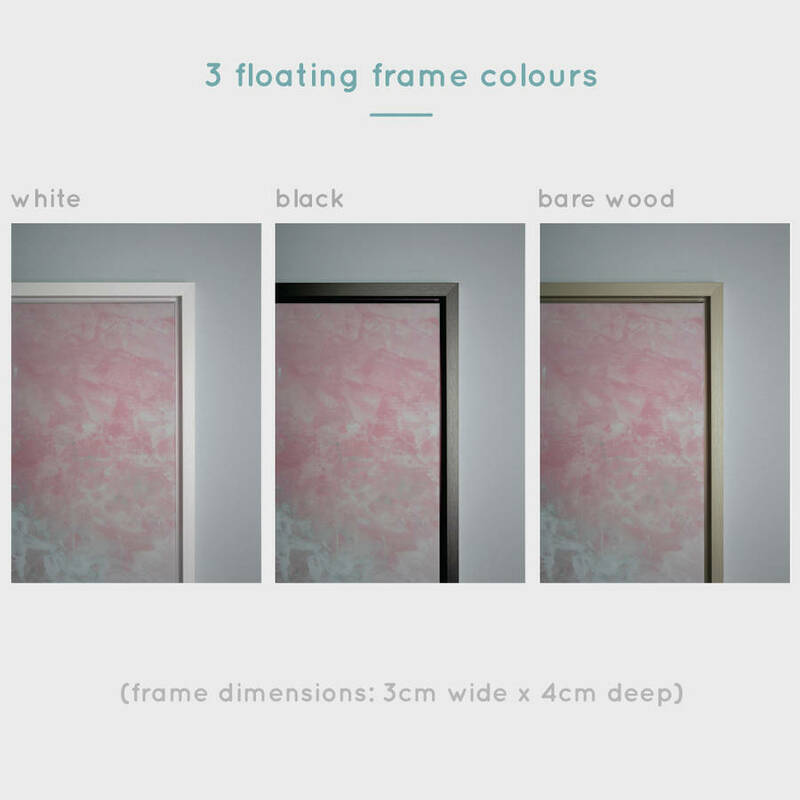 'Ebony Swirl' is supplied in a complimentary floating frame in a choice of either white, black or bare wood. Quality poly-cotton canvas printed with UV-resistant, anti-fade, environmentally-friendly water-based inks. The frame is made from durable, sustainable wood which prevents the canvas from bending. An additional sheet of cardboard behind the canvas adds firmness and prevents the canvas material from becoming see-through. 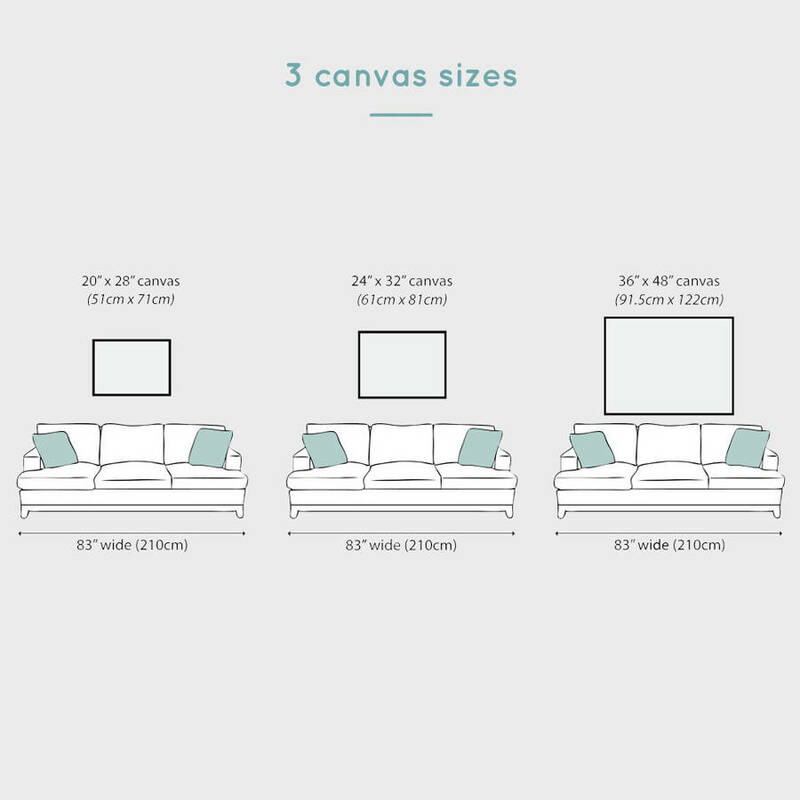 Orientation: All of our canvas prints can be hung portrait or landscape, and aren't restricted to one single orientation. This product is dispatched to you by AttikoArt.